We specialise in USB charging, power and data modules, cable management, soft wiring and surge protection. OE Elsafe is part of the OE Electrics Group with offices and distribution partners in Australia, New Zealand, UK, the Middle East and Europe. We offer the latest in wireless fast charging technology with our ARC range of wireless charges. With up to 10W of charging power the premium designed, Qi certified ARC charger is one of the fastest on the market. Future proof your charging requirements with our class leading Twin USB Fast Charger (TUF). 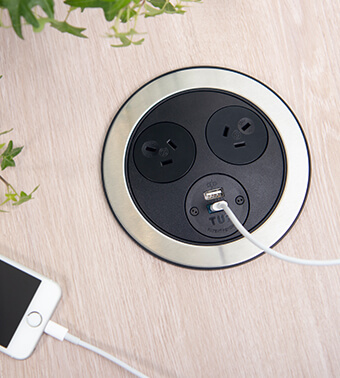 TUF A+C boasts USB Type-A and USB Type-C charging ports with efficiency of 91% ensuring you a full 5A of power for charging. Whether you require wire basket cable trays, cable umbilicals or sit to stand cable management we have a solution. We also stock a range of cleats and grommets. Keep your office neat and tidy with one of our cable management solutions. Soft wiring is a pre-terminated plug and play electrical wiring system. The modular nature of soft wiring allows for the re-use of leads and connectors which is especially useful during moves and changes (CHURN). OE Elsafe offer a large range of Wieland GST18 cables, clips and distribution blocks. We have a range of in desk boxes for any workplace or environment. 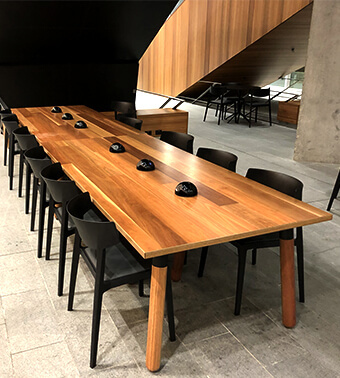 Whether it be for a desk, workstation or a boardroom table we have a solution for any situation. Our in desk boxes can be configured to accept a wide range USB charging, power, data and audio visual options. Our Qikfit Series has been designed to fit our desk rails, in desk boxes, floor boxes and cable baskets as well as industry standard cut-outs. The Qikfit Series incorporates auto switching power GPO outlets, TUF USB fast charging as well as data and audio visual capabilities. Our power and data rails are sleek yet highly practical. Designed to accept a large range of power, USB charging, data and audio visual options we have a solution to meet your requirements. 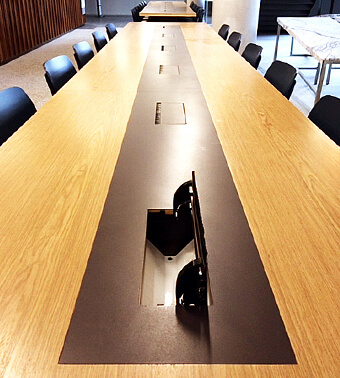 Our on desk power and data rails are suitable for any desk or work space. We offer a range of floor boxes designed for use in concrete floors, raised access floors, wooden stage floors and computer floor applications. From large to small we have a floor box to suit your requirements. 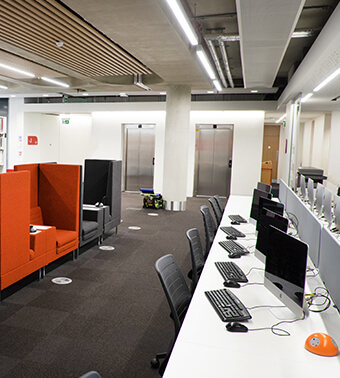 Our floor boxes can be configured to accept a large range of power, data and AV options.